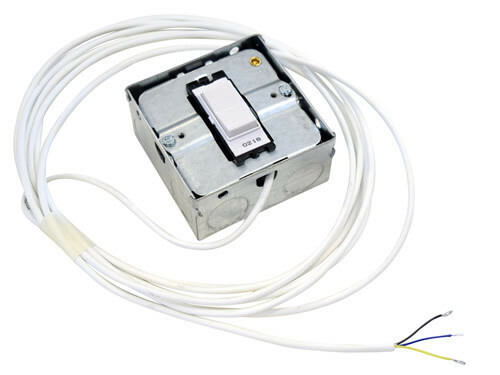 This premium wall switch, available with white or chrome switches inside a white face plate, allows you to control devices such as linear actuators or electric windows/blinds in a momentary (while-pressed) manner. It has a SPDT (single pole double throw) switch configuration and is capable of switching a current of up to 1A (up to 48V). The switch is housed in a 1 gang LAP installation box, 35mm deep, requiring a cut-out of approximately 75x73mm. The standard item has bare tinned lead-ends for connecting to. 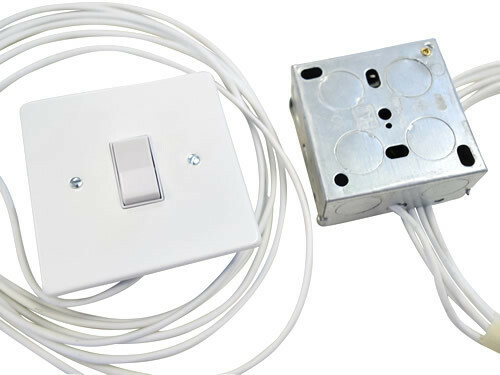 We offer the option of adding a 1.2m lead extension (4.6m total) and connector so that this wall switch can be plugged directly in to our GLA-CU-X2 remote receiver, this is selectable below. Each switch has a 3.2m long lead running from the body which has three cores, one common (black), and two outputs (yellow and blue). If the switch is pressed one way black and blue will be connected, if it is pressed the other way black and yellow will be connected. The electrical box which the switch is mounted in is of a common format used for light switches and other wall-housed electrical controls. The metal (painted white, smooth) face plate is 86x86mm in size. 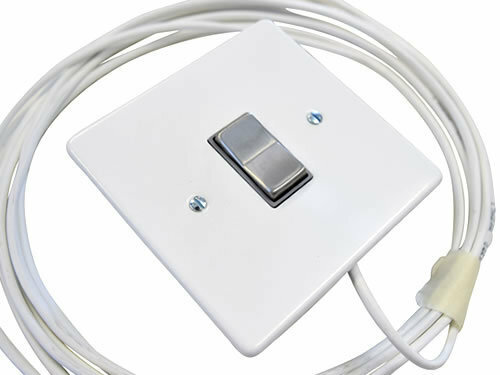 Each switch is supplied with the face plate fitted, which can be easily removed via two flat-head screws. We are able to offer custom lead lengths and connectors to-order, please contact us if interested.